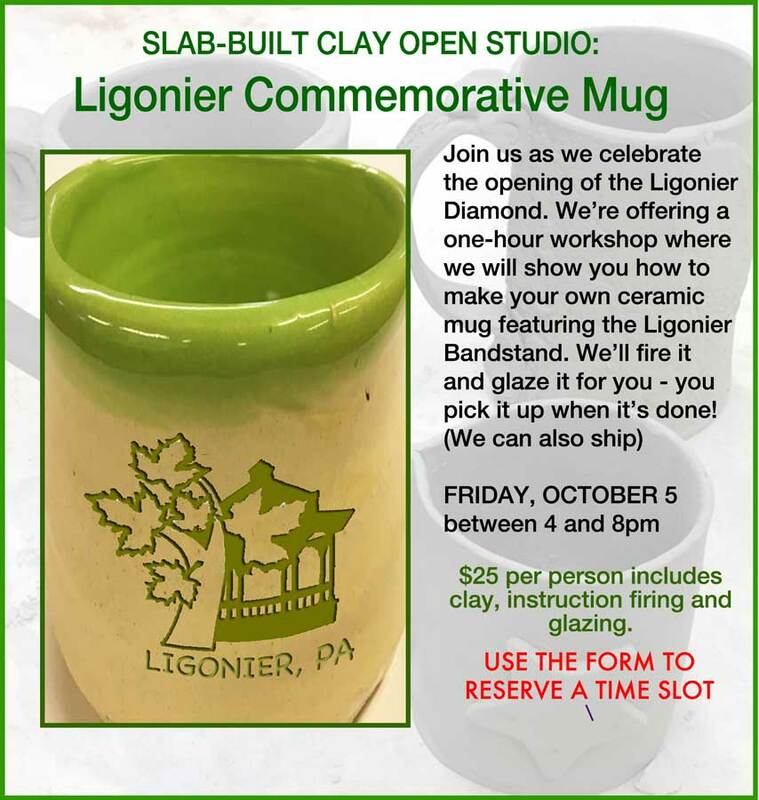 Check back for more upcoming Ligonier Mug Workshops. We'll be publishing new dates and times soon. The cost is $25 per person for each workshop. Pre-registration is required so we can prepare. You may pay when you arrive, or by phone with a credit card by calling Main Exhibit Gallery & Art Center at 724-238-2310 during regular business hours, (Tues-Sat 11-5) send a check payable to Main Exhibit, or stop by the Gallery at 301 W Main St, Ligonier, PA 15658. To reserve a space, you must select a time above and complete each item marked with an * and SUBMIT the form.